This rare and enticing Late Harvest Sauvignon Blanc was made using fruit from a storied single vineyard in Sonoma County’s Knights Valley. Left to patiently ripen for an extra month, these grapes produced a rich, concentrated wine with alluring tropical aromas, pure sweet peach flavors and balancing acidity. To add complexity, it was aged on the lees for ten months in new oak. 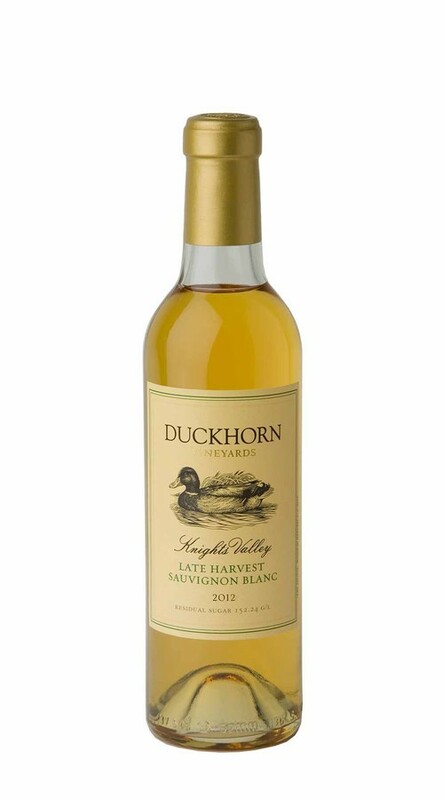 This lovely late harvest wine displays enticing layered aromas of jasmine, honeysuckle, lychee, orange peel, vanilla bean and pineapple upside-down cake. On the palate, beautiful natural acidity adds length and dimension to the creamy mouthfeel, carrying the lush tropical flavors of guava and kiwi through to a long, lingering finish.